7 Super Cute Bags That You Can Carry EVERYWHERE! We wear our bags like an extension of our very selves. We never leave the home without them - we take them to college, work, parties, restrooms and just about every nook and corner we go to. 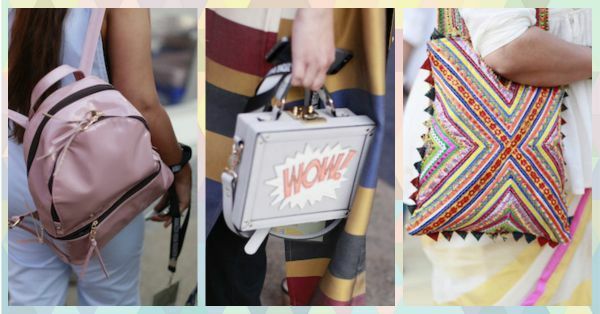 And what better place than the Amazon India Fashion Week to spot the cutest bags and get inspired? Here are 7 cute store-it-alls we wish we could carry everywhere! You’re never too old to carry a cute little backpack. From chic leather backpacks to funky canvas ones, they automatically dial your style quotient up a notch! They have enough room to keep your things safe and enough style to jazz up any outfit. So much win! Fringes are having a major moment in the fashion world this season. From clothing to accessories, we’re seeing them everywhere and loving every bit of it. 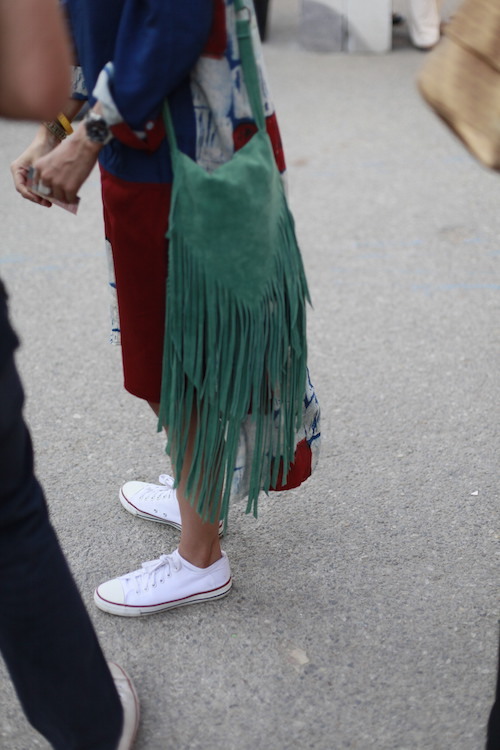 Channel the boho chic in you by carrying a cool fringed bag. The longer the fringes, the better! Curve away from the blacks and browns and carry an edgy bag that does all the talking for you. Loving this messenger bag with the coolest typography! It is all you need to make a statement anywhere you go! Yup! Take a risk, why don’t you? 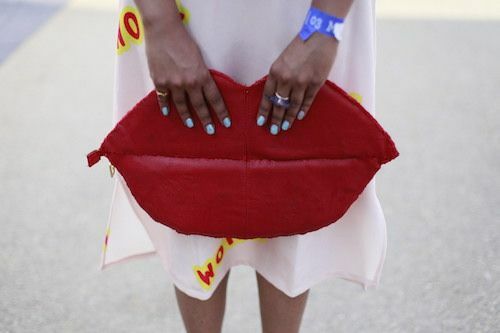 Have some fun by donning a quirky statement clutch that is bound to turn a few heads...for all the right reasons! Afterall, life is too short to wear boring clothes! 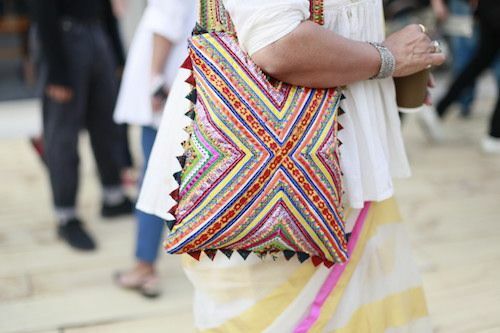 A nice way to brighten up your look if you are wearing monochrome is to carry a striking multicoloured bag. 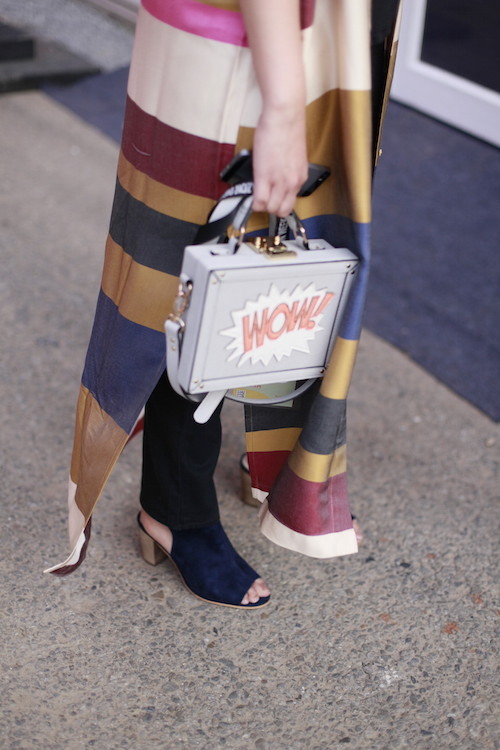 Drop some outfit inspiration this summer by wearing plain clothes with a funky colourful bag. As long as the bag has enough space for all your essentials...we suggest you go crazy on the shape! 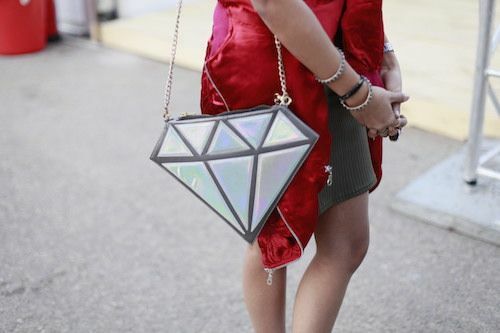 Gone are the days when bags came only in rectangular and square shapes. Get your funk on by trying a round or a completely bizarre shaped bag the next time. It can do no wrong!